Before closing our eyes to the day, Scarlett and I go through a list of things that we love each other more than, it always ends on something silly like poop or stinky farts, regardless, I have really come to love this ritual. We snuggle in close, smother each other with eskimo kisses and dive into a healthy completion of "I love you more...". Last night she loved me more than blue casts, but not more than pink. Not sure if that is better or worse than her normal go to of "more than bee stings"? Me: (wow, that is actually not a lot) How about more than pink casts? Scarlett: No..(long pause) but more than blue. 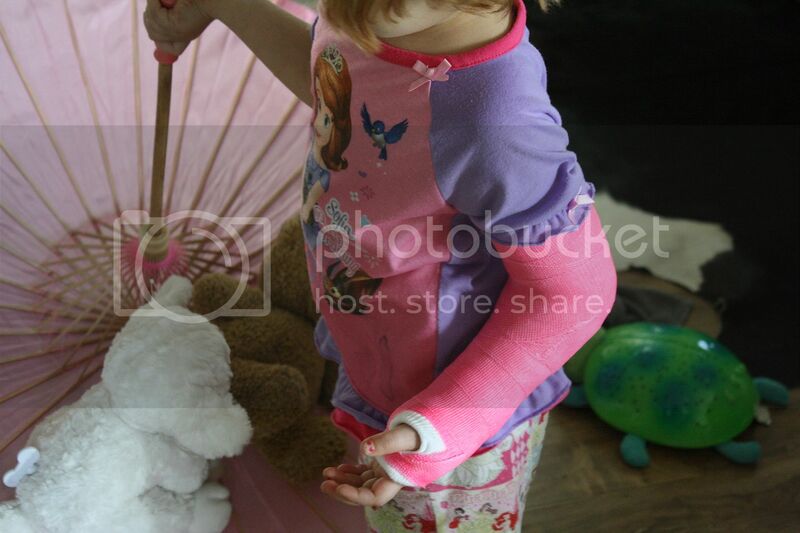 Scarlett fractured her elbow on Thursday night falling out of her cousins van. None of the adults happened to see the fall, so we have no idea of what actually happened. But, regardless, she ended the week with a permanent (for 4 weeks) addition to her wardrobe. 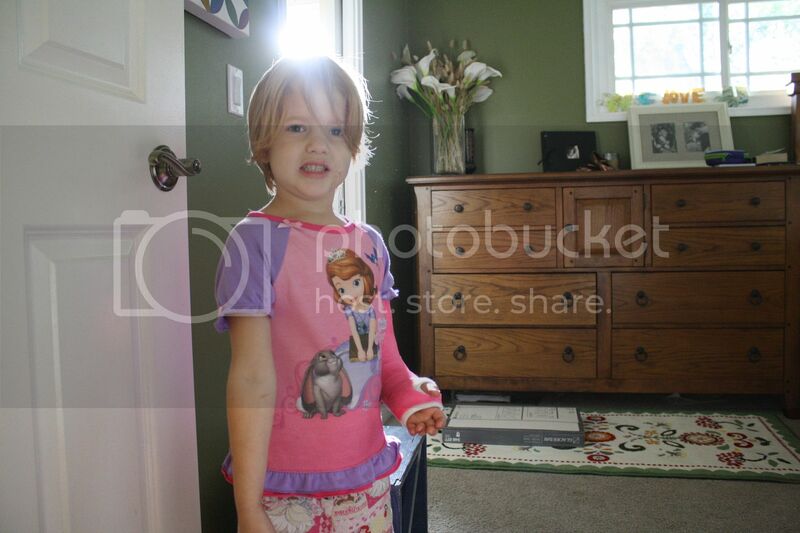 I asked her what colors she got to chose from and Chris says she never looked past pink. My little girl. poor peanut! pink is pretty special! we love that game too. iris always say, I love you, mom, but I love jesus more.